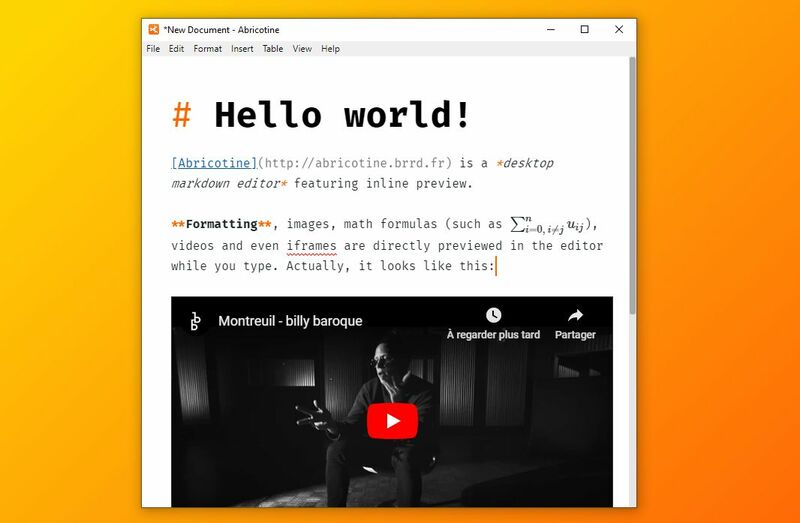 In Abricotine, you can preview your document directly in the text editor rather than in a side pane. Abricotine is an open-source software based on modern web technologies (HTML5, CSS3 & Node.js). It is available on Windows (7 and +), Linux and OS X.
Abricotine is still in beta development. If you find a bug please report it in the dedicated bug tracker. Abricotine is an open source program. Feel free to fork and contribute. In order to keep the match between this documentation and the last release, please contribute and pull requests on the dedicated develop branch.